Is Splenda Safe for People with Diabetes? Remember when those little yellow sweetener packets started showing up next to the pink and blue packets in your local restaurant? 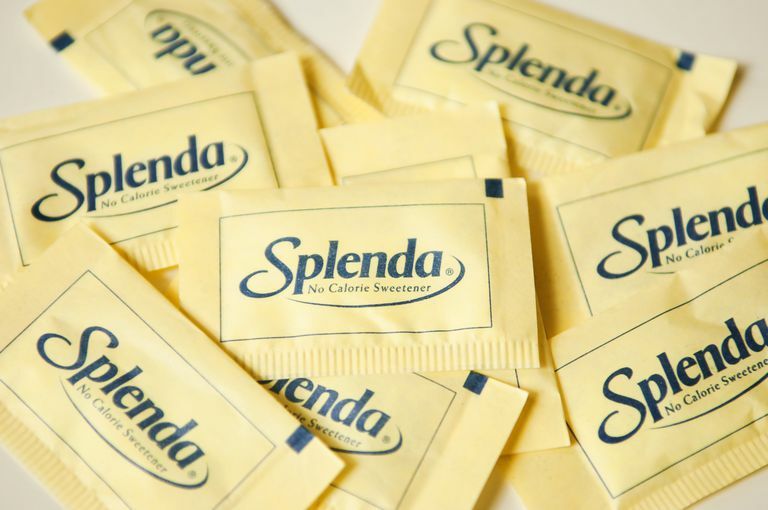 Well, since its approval in 1992, Splenda has risen in popularity to take over a huge portion of the U.S. market share for artificial sweeteners, otherwise known as nonnutritive sweeteners, having sold more than 100 billion yellow packets since its launch. But, should you be using Splenda? Is it safe for people with diabetes? Read on to find out the answers to these questions and more. Splenda is made from the FDA-approved artificial sweetener sucralose. The FDA reviewed over 110 human and animal studies on sucralose prior to approving it safe for consumption. In its review, it included studies that looked for links to cancer as well as reproductive and neurological issues. Although the studies did not identity any issues, it is plausible that more research should be conducted to assess the long term effects of consumption. Sucralose is a zero-calorie artificial sweetener, and Splenda is the most common sucralose-based product. Sucralose is made from sugar in a multi-step chemical process where 3 hydrogen-oxygen groups are replaced with chlorine atoms. One packet of splenda has 3.3 calories, making it a "calorie free" food. Splenda is intensley sweet, in fact, it is 600 times sweeter than table sugar. It has been referred to as a high intensity sweetener, although some researchers believe it should be referred to as "potent" rather than "intense." It is used in many pre-sweetened beverages and foods. It can be purchased as individual packets or larger bulk granules. It is often used in baking and is available in both white and brown sugar baking forms. According to the compnay that makes Splenda, it is the only non-nutritive sweetener that is made and manufactured in the United States. Many "sugar-free" and "reduced-calorie" foods use artificial sweeteners to add a sweet flavor without adding extra carbohydrates or grams of sugar. These include diet beverages, sugar free gum and candies, jams, jelly, and other sweets. Splenda, in the form of sucralose, is one of the artificial sweeteners that is used. If you're wondering if a product contains Splenda, read the ingredient list and look for the word "sucralose." What Are the Health Effects of Artificial Sweeteners? Artificial sweeteners have been closely scrutinized for possible health concerns, such as obesity, diabetes, and cancer. While the FDA approves their safety, there has been some conflicting evidence about whether they actually help or harm weight maintenance, especially when it comes to diet drinks. On the one hand, some research has shown that drinking diet sodas is linked to an increased risk of developing type 2 diabetes, obesity, and metabolic syndrome. On the other hand however, research has shown that when replacing sugar sweetened beverages with diet beverages, people have lose weight and reduced their blood sugars. There is also conflicting research as to whether or not artificial sweeteners negatively affect the gut microbiome, particularly because most studies have been conducted on animals. More research needs to do be done in these areas. As with most man-made food and beverage items, moderaion is key. Excessive consumption of Splenda may lead to gastrointestinal symptoms, such as gas, bloating. and headaches. This often occurs when Splenda is used with other ingredients such as sugar alcohols—xylitol, sorbitol, malitol, etc. But, these symptoms are self-reported and vary from person-to-person. Is Splenda a Good Option for People With Diabetes? For those people with diabetes who are skeptics of Splenda and other sweeteners, it's important to get educated on the subject and weigh the pros and cons to help you make good choices. Being overweight and having uncontrolled diabetes is a major threat to your health and it may be advantageous to use products that help you to reach your goals. Many studies suggest that people who use low calorie sweeteners are able to lose weight easier, maintain a healthier weight, and control blood sugar levels. A few randomized control trials (the gold standard type of study in which researchers compare a control against one or more study groups to determine the impact of some change) show that when replacing sugar sweetened beverages with diet beverages, people are able to use a small amount of weight. Additionally, a meta-analysis (analysis of many studies) published in 2014 by Miller and Perez found that low calorie sweeteners (LCS) reduced body weight compared to placebo and modestly, but significantly reduced body mass index, fat mass, and waist circumference. Will it make me crave sugar? Some studies have suggested that low calorie sweeteners, like Splenda, overstimulate the sweet taste receptors and cause sweet cravings which leads people to overeat and gain weight. Researchers speculate that this happens because they taste sweeter than regular table sugar. Some studies refute this notion. For example, Antenucci and Hayes 8 recruited over 400 people for a series of taste tests. Participants were asked to drink a variety of beverage samples, which included calorie containing and several variations of low calorie sweetened beverages. They rated their perceived sweetness of each sample and the results showed that participants perceived the sweetness of LCS at lower concentrations than the calorie-containing sweeteners. What is a safe amount of Splenda to ingest? It appears that people with diabetes tend to consume the highest amounts of low calorie sweeteners. When it comes to "safe" amounts research has shown that most people, including those with diabetes, consume nowhere near the Acceptable Daily Intake (ADI). In fact, Splenda reports that sucralose has been found to be safe for daily use over a person's lifetime in amounts a hundred of times greater than what could ever be expected to be eaten. The ADI is defined by FDA and other regulatory agencies around the world as the amount of low calorie sweetener that a person can consume every day of their life with no safety concerns. The FDA has defined the ADI for sucralose to be 5 mg/kg body weight. For a person who weighs 200lbs, this means that the ADI would equate to 454 mg or 37 packets of Splenda—most people ingest nowhere near this amount. What about cancer? Does Splenda cause cancer? The European Food Safety Authority (EFSA) decision shows it to be safe and does not cause cancer—this is based on years of research. Omit sugar from tea and coffee and replace with a packet of splenda. Keep in mind, Splenda tastes much sweeter than sugar so you won't have to use much. Replace high calorie beverages, such as sugar sweetened tea and lemonade, soda, and flavored coffees with Splenda®. Create your own iced ter or coffee beverages using Splenda® or replace with diet beverages, sweetened with Splenda®. Flavor hot cereals, such as oatmeal with, SPLENDA® Brown Sugar Blend for desired sweetness. SPLENDA® No Calorie Sweetener Packets: used to flavor hot and cold beverages, and added to yogurt, smoothies, and cereals. SPLENDA® No Calorie Sweetener Packets with Fiber: this packet contains an added gram of fiber. SPLENDA® Naturals Stevia Sweetener: made from stevia non GMO ingredients, no added flavors and no bitter aftertaste. SPLENDA® Sugar Blend: is a mix of pure sugar (sucrose) and SPLENDA® Brand Sweetener. It designed to help you reduce sugar intake, while yielding good taste and baking qualities, such as texture and moistness. According to the company, you will only need to use half cup of SPLENDA® Sugar Blend to replace a full cup of sugar in your favorite recipes. SPLENDA® Brown Sugar Blend: you can use this blend of brown sugar and sucralose anywhere you would use traditional brown sugar for only half the calories and carbs per serving of full brown sugar. As with the traditional sugar blend, replace a full cup of brown sugar with 1/2 cup of brown sugar blend. SPLENDA® No Calorie Sweetener, Granulated: this contains no calories as it contains no sugar. It works best in recipes that use sugar for sweetness, but, can also be used in many baked goods, with no, or only minor, modifications. SPLENDA ZERO® Liquid Sweetener: a zero calorie liquid sweetener, used to sweeten beverages. It is portable and easy to use. One squeeze should equate to about a teaspoon of sugar. Two squeezes yields the sweetness of one packet of Splenda. Store at room temperature and do not freeze. SPLENDA ZERO® Liquid Stevia Sweetener: liquid sweetener made from stevia plant. Contains zero calories. SPLENDA® No Calorie Sweeteners for Coffee, French Vanilla: flavored no calorie sweeteners made for coffee. According to the Splenda website, Splenda is safe for all people to consume, including children. They suggest no adverse health effects and report that 85% of Splenda bypasses the digestive system and is excreted by the body in the urine or feces. But, each individual is unique and, while Splenda typically does not cause weight gain, increase blood sugars, or promote headaches in many people, it doesn't mean it can't. If you are experiencing negative effects when using Splenda, it's best to avoid it. Many diet beverages use a blend of sweeteners such as aspartame, or Equal, (do not use if you have genetic condition PKU), saccharine (Sweet n' Low) and acesulfame-K (Sunnett), and sucralose. If you feel as though you are not tolerating Splenda or it isn't working for you, you can consider drinking beverages with alternative sweeteners. Other potential sweeteners include: stevia—brand names including, SweetLeaf, PureVia, SunCrystals, and Truvia. If you are someone with diabetes who would benefit from losing weight or getting better control of your blood sugar, then using nonnutritive sweeteners, such as Splenda, may have the potential to reduce overall calorie and carbohydrate intake if substituted for caloric (sugar) sweetener and without compensation by intake of additional calories from other food sources. Before adding low calorie sweeteners into your diet, consider all the pros and cons.There is a ton of mixed research out there and it's important to weigh in on the facts. Focus, on eating a well balanced diet—fruits, vegetables, lean proteins and healthy fats, which reducing overall sugar intake. There is absolutely no need to replace regular food with sugar free foods. Additionally, if you are swapping out sugary bevarages, you can always you alternative substitutions such as water, seltzer and unsweetened iced tea. It's also important to note that when it comes to diabetes, all carbohydrates count. The main thing you need to factor in is the total number of carbohydrates you're consuming in any given meal, snack, or drink. Just because something is labeled sugar-free or has Splenda in it, doesn't mean its carbohydrate free. Reading the ingredient lists will help you to make inform decisions based on a foods composition as well as enable you to factor the total number of carbohydrates into your meal. Grotz, V Lee, et al. "Lack of Effect of Sucralose on Glucose Homeostasis in Subjects With Type 2 Diabetes". Journal of the American Dietetic Association. 103(12): 1607-12. Jing Ma, et al. "Effect of the Artificial Sweetener, Sucralose, on Gastric Emptying and Incretin Hormone Release in Healthy Subjects". American Journal of Physiology - Gastrointestinal Liver Physiology. 2009; 296(4): G735-739. Antenucci RG, Hayes JE. "Nonnutritive sweeteners are not supernormal stimuli." Int J Obes, 2014; doi: 10.1038/ijo.2014.109. Miller PE, Perez V: Low-calorie sweeteners and body weight and composition: a meta-analysis of randomized controlled trials and prospective cohort studies. American Journal of Clinical Nutrition. 2014. Peters JC, et al. The effects of water and non-nutritive sweetened beverages on weight loss during a 12-week weight loss treatment program. Obesity Journal. 2014;22(6):1415-21. How Do Artificial Sweeteners Stack Up Against Each Other?